In the 15th century, L'Aquila had become the second most powerful city in the Kingdom of Naples after Naples itself. However, in 1504 Aquila was occupied by the Spanish conquerors during the war between the French and the Spaniards for the throne of Naples. 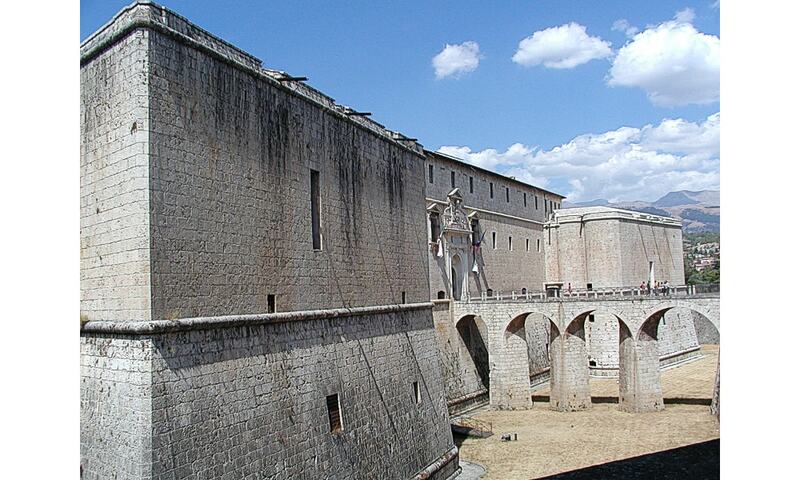 After King Charles V of Spain finally defeated the Aquilan rebels, he ordered the city to build a fortress in the highest spot North of the city; the fortress had been built not to defend the city, but to control it as its cannons pointed to the city. Forte Spagnolo had cost an enormous sum for the times; as a result, works were interrupted, so parts of the castle were never completed.